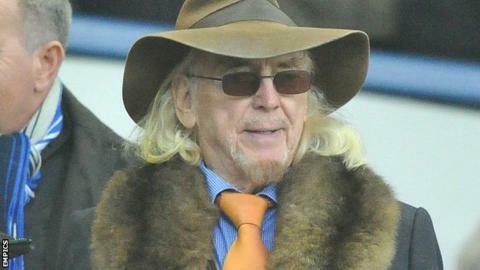 Blackpool owner Owen Oyston is considering a £16m offer from the Supporters' Trust (BST) to buy the League One club. On Wednesday, BST said their offer had been ignored by Oyston after the 21 July deadline they set had passed. But the 81-year-old has asked for more time to look over the proposal. "He has not snubbed your offer and is seriously considering it with his professional advisers," said a message sent to the Trust. "He cannot work within the deadline imposed upon him but will reply in due course when he has had the full advice from the professionals." Owen, whose son Karl is the chairman at Bloomfield Road, has been involved with the Seasiders since 1987, becoming owner the following year. There have been numerous fan protests regarding his ownership over the past two seasons, and they have continued this summer with a friendly against Lancaster City abandoned after a pitch invasion and a game at Morecambe called off because of safety concerns about a planned protest. The Tangerines were relegated from the Championship last season after winning only four of their 46 matches, and have appointed former West Ham assistant Neil McDonald as their manager for the new campaign. "We're happy to extend the time," said BST secretary Kevin Boroduwicz. "It is our intention to own part of the club, but the Oystons need to work with us. "We've got quite a few things to do - we will be looking at consortia, different approaches - this will likely not be the last of the interest we show in the club. We care too much about the club."